Bihar Chief Minister Nitish Kumar's message is aimed at the BJP, whom he partnered to form the government last year after dumping Lalu Yadav and the Congress. Nitish Kumar has stressed that his government in Bihar believed in peace and harmony. PATNA: Bihar Chief Minister Nitish Kumar, who sought to signal his government's approach to deal with communal violence by sending BJP leader Arijit Shashwat to jail, broke his silence today. Mr Kumar, who walked out of an alliance with Lalu Yadav after son Tejashwi was named in a corruption case last year, declared that he hadn't compromised with corruption and should not be expected to compromise with communalism either. The message is aimed at the BJP, whom he partnered to form the government last year after dumping Lalu Yadav and the Congress. Mr Kumar's ally is widely perceived to have influenced his government initial reluctance to act against people who fuelled communal tension that started from Bhagalpur and spread rapidly to at least five more districts. Mr Kumar had sought to send the message across last week too but the point clearly didn't get through. BJP's state leaders continued to make statements that Mr Kumar felt did not make his job of keeping peace and harmony any easier, and the BJP's Arijit Shashwat refused to surrender. 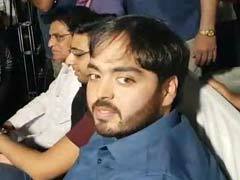 The Nitish Kumar government finally agreed to let Arijit Shashwat, 36, move court for anticipatory bail. But it also argued strongly in court against the arrest shield and convinced the judge to reject the request. Arijit Shashwat, who is also the son of Ashwini Choubey, the junior minister for health and family welfare at the centre, was arrested hours later and sent to jail. That arrest, leaders of Nitish Kumar's party Janata Dal United insist, had again demonstrated that the Chief Minister was willing to deliver on his promise. Today, Mr Kumar did not take any names when he addressed a function to mark two years of prohibition in the state. He didn't have to. "I never compromised with the rule of law... But I always say that there are all kinds of people in a society and some of them are trying to create mischief and disturbance," the Chief Minister said. "But we are committed to for the peace, communal harmony and brotherhood and if somebody comes to disturb, then he has to go behind bars. Such elements are not spared," he told the gathering. Arijit Shashwat was the most prominent of the five BJP leaders arrested by the police for the communal violence that singed parts of Bihar over the Ram Navami processions last month. Mr Kumar's effort to renew his commitment to communal harmony comes at a time when Nitish Kumar's party spots a pattern in the recent violence and is worried that there could be more attempts to polarise the politics ahead of the 2019 Lok Sabha elections. The violence has also exposed the party to stinging barbs from the opposition that accuses the Nitish Kumar government of having surrendered to the BJP. "The government in Bihar is not run by Nitish; rather, it is run by the RSS from Nagpur... for the sake of remaining in power, he does not mind communal violence in the state," Leader of Opposition in the assembly Tejashwi Yadav claimed yesterday as he released a 72-booklet, that the Rashtriya Janata Dal called a charge sheet against the Nitish Kumar-BJP alliance government.